If your tenants gave notice today, would you be able to find someone to move in to your vacant unit right away? Or, would it be difficult to fill the vacancy quickly? Savvy landlords know that the best way to find tenants for their rental property is to market their properties so interested applicants come to them. Use these apartment marketing ideas to attract tenants and reduce vacancies. Photos sell most apartment listings — what do your unit photos say about your vacant unit? If you’ve got generic photos of blank rooms, it can be difficult for renters to imagine themselves in your unit. Work with a home stager who will bring in furniture, art and knick-knacks for a photo or video shoot. This one-time expense is well worth it when you know you’ll have attractive photos you can post to your website and re-use every time you need to rent out the apartment. When staging the interior of an apartment, don’t forget to spruce up the outside, too. Tenants will want to see pictures of common areas and grounds. By cleaning up before the photo shoot, you can ensure a consistent impression — inside and out. One of the best apartment marketing ideas that many forget about is creating a website. Let a website advertise your property year-round, generating a steady stream of leads for your rental unit. If you own multiple properties, you can create a comprehensive website that shows all the properties you own. Then, use location-specific keywords to drive traffic to your website. Tenants searching for apartments in your city will be more likely to find your website when it’s keyword-rich. Place applications, prospective tenant information, and high-quality photos and videos on your website. These components will help make it easy for interested parties to view basic information, complete an application and get in touch. Even if you don’t have units available to rent, it never hurts to have completed applications on hand — you never know what could happen. Social media is an easy way to get your listings seen, whether you use your own website or post on apartment search websites, such as Craigslist. To make social media posts effective, use hashtags that renters might look for to find available apartments, such as #realestate or #forrent. Use your social media profiles to feature your apartment listing and share details that might draw views — such as a snapshot of your swimming pool ready for the season. This time-tested way of marketing rental property still works, so spread word in your community to increase leads. Post flyers on community bulletin boards advertising your open units. Network with other property managers and business owners you know; they might know someone in need of an apartment like yours. If you have a good relationship with existing tenants, ask them for referrals. 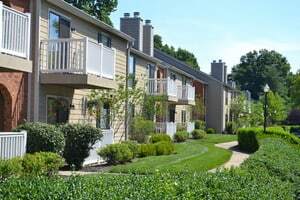 As long as your requests aren’t violating the Fair Housing Act — for instance, by specifying a preferred demographic — there’s nothing wrong with using your local network to drive traffic to open units. For more property management marketing tips and landlord tenant advice, become a member of American Apartment Owners Association. AAOA members get discounts on supplies, tenant screening, educational webinars and more.